AUSTRALIAN Football Hall of Famer Rowan Sawers has decided to give a little back to the game that’s given him everything and taken him all over the globe. 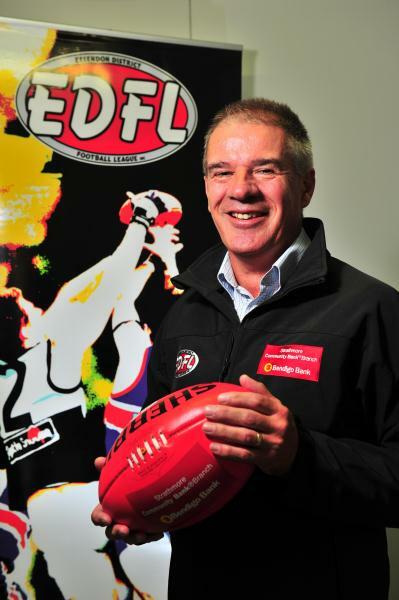 Sawers was earlier this month appointed the Essendon District Football League’s umpires coach in a bid to help boost the appeal at a time many community leagues are struggling for numbers and forced to appoint club umpires for numerous junior and senior fixtures. “There’s a lot of experience to be gained and not just in football but life skills as well,” Sawers said. “I’ve been fortunate enough to get into the AFL and get a grand final and to be inducted into the Hall of Fame was just a thrill and something I never even thought of, so footy’s been great. “It’s taken me around the world and coming to the EDFL gives me the opportunity to put back and with the knowledge I’ve learnt, I really want to put back into junior football. Since taking the new gig Sawers has been on-hand to witness the standard of umpiring within the EDFL ranks and is genuinely impressed, telling Star the standard has been raised significantly at community level in recent years. “I saw Maribyrnong Park and Avondale Heights and it was a terrific game of football that was well-umpired,” he said. “There’s lots of things that umpires need to take into account and in the two-umpire system they cover about 13km, they make about 3000 decisions and most of those are not to blow the whistle. EDFL general manager Marc Turri said the league is always looking for more umpires in the field, boundary and goals, but was also pleased to say EDFL umpires are among the highest paid in community football. Turri and Sawers have encouraged people interested in taking up umpiring to contact the league.